I was going to leave Yellowstone the night before last, but instead I slept in my car, so I could wake up before sunrise to get a specific picture. 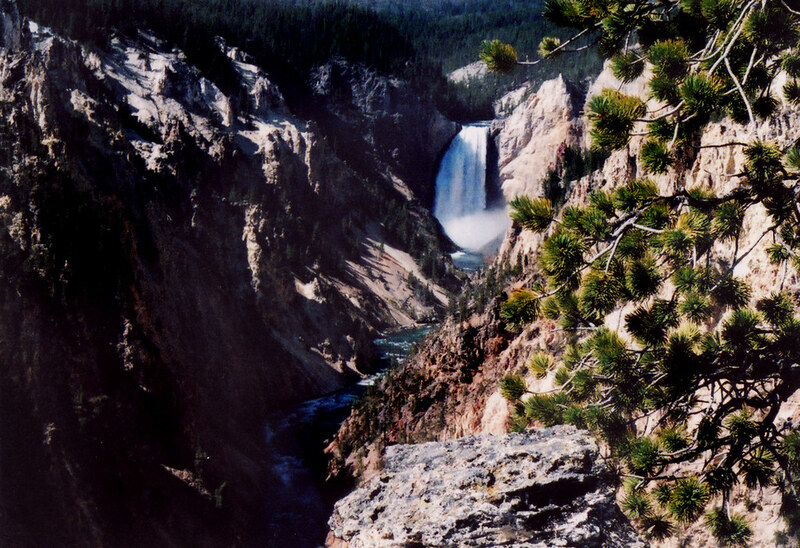 On my first Yellowstone visit in 2004, this picture didn't turn out, so I'm trying again. 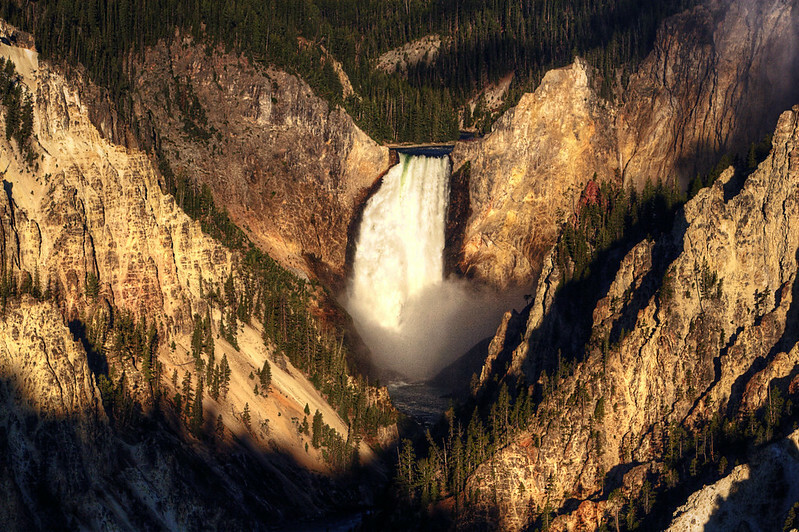 I wasn't the only person lugging a camera and tripod up to the view of the lower falls in "The Grand Canyon of the Yellowstone." A row of photographers were already there quietly watching the sunlight melt down the canyon's yellow rock. I did have the oldest crappiest equipment though. I felt like a kid from the Mighty Ducks with a worn-out jersey and hockey stick held together with duct tape, just trying to compete against the spoiled rich kids with their expensive new gear. Like those mightiest of ducks, what I lack in equipment, I’ll make up for with heart and sheer will… or something like that. The picture turned out better this time, but the photographer next to me mentioned the sun and the mist from the falls produces a rainbow around 9:30, so I searched for a better angle to set my tripod. I'm satisfied with how the rainbow picture turned out. I think it was worth hanging around one more night and waking up groggy and cold in my car. 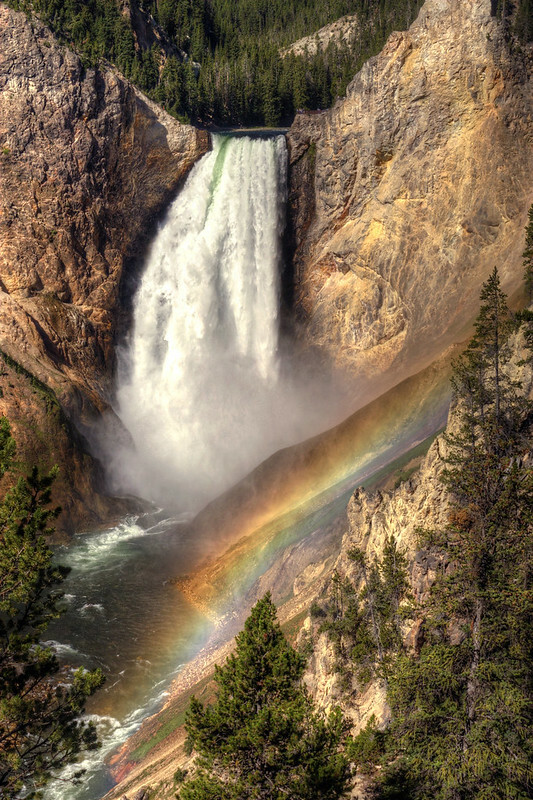 So, I found that Yellowstone actually does have some backcountry trails, but the park is too crowded for my taste. I’m moving on, north to Glacier National Park. I still have a lot more Yellowstone photos that I will upload soon, but I worry I've been spending too much time in this fast food joint. I stopped in Bozeman, Montana to backup my photos to DVDs to send home. As a homeless wanderer, fast food restaurants with free wi-fi have become my office. I'm not the only one. After spending a few hours in a place I notice there are others. For those of you who only spend a normal 30 minutes in a fast food chain, you can spot us easily. Around lunchtime we are the ones that still have breakfast food wrappers and empty coffee cups on our tables.